It’s easy to criticize the Switch for all the things it’s missing — no Virtual Console, a bare bones online mode, strong third party publisher support — but in the short time it’s been available, Nintendo has arguably proven that they are ready to compete with their new console. Since it’s release on March 3rd, the Switch has pretty much dominated gaming coverage thanks to its exciting design and small, but excellent lineup of games. I’ve certainly been hard on the Switch in the past and I still have some major issues with the way Nintendo has handled certain things, but I’m really starting to warm up to the system the more time I spend with it. It remains to be seen whether Nintendo can keep this momentum going but so far, they’ve gotten a surprising amount of things right with the Switch. One thing that I feel like people aren’t giving Nintendo enough credit for with the Switch is the quality of the actual hardware. Issues with the left Joy-Con notwithstanding, it’s hard not to impressed with what Nintendo has crafted, especially when directly comparing it to the Wii U. The Wii U’s tablet screen felt like the Fisher Price version of what a tablet should be, whereas the Switch tablet is sleek and looks like a cool piece of tech. This build quality extends to peripherals too, as the Joy-Cons feel solid in your hands and it’s impressive just how much tech Nintendo was able to jam into these little things (even if stuff like HD Rumble feels like more of a gimmick than anything right now). 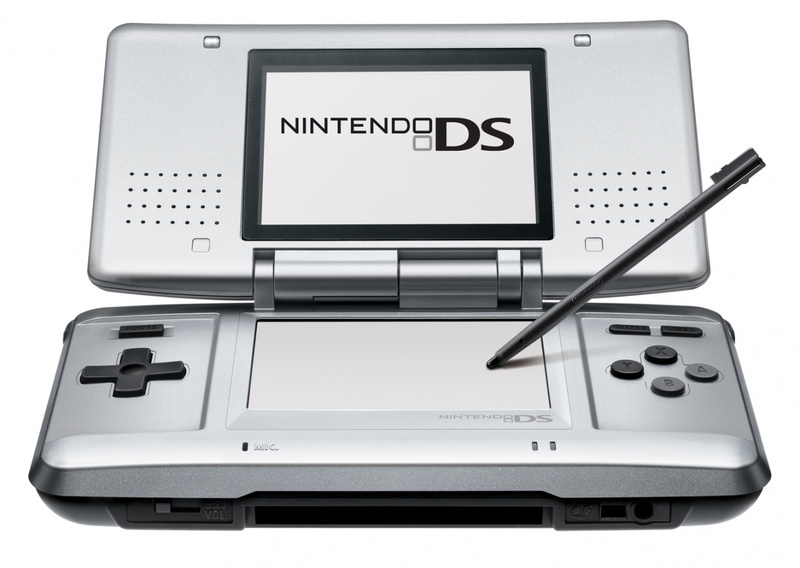 Nintendo will probably release a better version of the Switch in a few years’ time, but for now, it’s great to see that they nailed many aspects of the Switch hardware design on the first try; even more impressive when you consider that released this monstrosity as the original design for the Nintendo DS. While the Switch’s user interface still needs a lot of work — to be fair, the same could be said about pretty much any operating system — Nintendo is on the right track so far. The home screen in particular strikes a good balance between the Xbox One and PS4, and overall feels clean and easy to navigate. With information like profile picture, signal strength, and battery information displayed at the top of the screen, the Switch UI feels similar to a phone or tablet OS, which is fitting considering it’s a handheld device. The tiles or cards that let you access games and other applications dominate the middle section of the screen and are organized in a clear and concise way. The most significant problem right now is that the UI is almost minimalist to a fault, as it’s lacking in charm and just doesn’t feel “Nintendo” enough. Of course, this is the kind of thing that could easily be addressed in a future update and as a first run, the Switch’s UI is surprisingly strong. Nintendo’s course correction with the Switch can be attributed to many factors, but one of the most important is the fact that the company has been able to clearly market the Switch’s main features by making them easy to understand. The initial Switch reveal trailer released in October 2016 is a brilliant bit of advertising work, as anyone can grasp what the Switch is within a minute of watching the video. There’s more to it, of course, but at it’s core the Switch is a gaming system that can be played at home on a TV or as a handheld device. Contrast this with the initial trailers for the Wii U, which featured shots of one person using some tablet while others in the room used traditional Wii remotes. Was this just an update to the Wii? A whole new system? Who wants to play games 4-on-1 anyway? These are the types of questions Nintendo had a difficult time answering and is part of the reason why the Wii U ultimately bombed. Thankfully, there is no such confusion with the Switch. The big Nintendo Switch reveal back in January made it really easy to be wary about Nintendo’s plans for the console. Rather than promote its portable features, Nintendo spent a considerable amount of time highlighting the Switch’s Joy-Con controllers and talking about things like “HD Rumble,” destined to be the most gimmicky and underutilized feature on the Switch. In other words, it looked like Nintendo was trying to make “waggle” a thing again, which was disappointing given that the thing everyone loved about the Switch initially was its hybrid console/handheld design. Now that the Switch has been out in the wild for a few months, it’s safe to say that the concern over waggle rearing its ugly head again was mostly unfounded, as it’s more of a complimentary feature than anything. Most games don’t even take advantage of the Joy-Cons as motion controllers and the ones that do range from gimmicky (1-2-Switch) to surprisingly good (ARMS). As long as Nintendo can prevent a Joy-Con shovelware situation similar to what happened with the Wii from happening, we shouldn’t need to worry about games forcing motion controls on us again. Couch multiplayer sessions may be dying out on systems like PS4 and Xbox One, but as long as Nintendo sticks around, the form will never truly die out. Nintendo’s always put a focus on multiplayer gaming with their consoles, but the Switch feels like it was designed from the ground up for playing with other people. For one thing, there are a ton of different control options to utilize, from pairing off two Joy-Cons with a buddy for some Mario Kart races to gathering around a TV with some Pro Controllers. Admittedly, investing in multiple controllers gets real expensive real fast, but it’s arguably worth it when you take into account just how many multiplayer-focused games are already available and how many more there are still to come. Console makers have been prioritizing social functionality ever since online gaming started to really take hold, but the Switch is the first console that really feels like it’s taken this to heart. The Switch is arguably at its best when played in handheld mode, so it’s a good thing that games look really good on the tablet’s 6.2 in screen. While games run on a lower resolution when in handheld mode (720p vs. 1080p when docked and running on a TV), the Switch’s small screen size effectively makes this a moot point, as do the bright and colorful visuals it’s able to produce. It also helps that more visually-demanding games, like The Legend of Zelda: Breath of the Wild, actually seem to run better when the Switch isn’t docked, which only makes playing games in handheld mode that much more appealing. When a launch game sells more units than the system it’s available for, you know there’s something special going on. Such is the case with the Nintendo Switch, which was actually outsold by The Legend of Zelda: Breath of the Wild in March. The reason being, of course, that Zelda is an incredible game and played an instrumental role in convincing million of people to buy a Switch in the first place. Fortunately, we’re now at the point where there are enough good games available on the Switch to give it an easy recommendation but on launch day, there was really only Zelda. By that token, it’s fair to say that the Switch needed Zelda a lot more than the game needed the Switch (it’s also available on the Wii U, after all), but Nintendo made a wise move in getting Zelda out in time for launch because if they didn’t, we’d probably be viewing the system in a much more negative light right now. It’s difficult to say for sure if this point will actually pan out, as so far, Mario Kart 8 Deluxe is the only Wii U port that exists on the Switch (correct me if I’m wrong, but I believe it’s the only one that’s even been announced, in fact). That being said, if Nintendo can release more games like Mario Kart 8 Deluxe, they’ll effectively be giving quite a few underplayed Wii U games another shot at life. For all its faults, the Wii U should be considered a success when it comes to first party games put out by Nintendo, as its list of exclusives is really quite enviable. Super Mario 3D World, Pikmin 3, Splatoon, Bayonetta 2, and Super Smash Bros. are just a few of the games that come to mind that made the Wii U worth owning, and since relatively few people actually ever bought the console, there’s plenty of opportunity for newcomers to experience these games for the first time on Switch. Mario Kart 8 Deluxe is just the beginning. At the beginning of this article, I mentioned that the Nintendo Switch lacks third party support. While that is true, from a certain viewpoint the Switch is actually doing pretty well when it comes to third party software. Just over two months in, the Switch is enjoying a healthy mix of Japanese role-playing games such as I Am Sestuna and Disgaea 5 )with heavy hitters like Xenoblade Chronicles 2 still on the way) and indie games. In some ways, the Switch has become what the PlayStation Vita should have been: an awesome handheld system buoyed by first party software, JRPGs, and a variety of indie titles. Sure, there is still reason to be concerned about the Switch’s third-party outlook going forward, as it’s hard to see developers jumping to make heavily compromised ports of big games like Red Dead Redemption 2 and Call of Duty: WWII on the Switch’s relatively underpowered hardware, but Nintendo continues to maintain a release schedule like they have so far in the first few months, the Switch’s future could be much brighter than originally thought. It’s still a bit early to call considering we haven’t gotten many games for it yet, but the Nintendo Switch will likely go down as the greatest handheld console of all time. As previously mentioned, the Switch is what the PlayStation Vita should have been: a handheld gaming device that delivers console-quality games without having to compromise anything. Of course, the Switch goes a step further by being able to easily transition into a home console, but there’s a very good reason so many Switch owners seem to prefer playing it as a handheld device. Sure, the Switch is nowhere near as powerful as a PS4 or Xbox One, let alone a top of the line gaming PC, but when it can deliver experiences like Breath of the Wild, does it really need to be? If Nintendo plays their cards right and continues to put out great traditional console experiences on the Switch, while also loading it with all sorts of retro and indie titles, the Switch will be the best handheld console there’s ever been. In some ways, it already is. As you’ve probably gathered by now, the Switch is a great system, but is lacking quite a few features that would help step things up. Fortunately, it’s not hard to envision what some of those features might look like; it’s just up to Nintendo to deliver on the Switch’s potential. Nintendo has created a gaming system that people really seem to have responded too and while games like Zelda and Mario Kart 8 have definitely helped make it such a hit so far, I really think people are also digging the Switch because they recognize how much potential it has. For instance, if Nintendo gets its Virtual Console service up and running, that one move will turn the Switch into a portable Nintendo retro game player. And while Nintendo seems to think they’re not competing directly with the tablet market, they most definitely are. If the Switch gets popular, must-have apps like Netflix and YouTube, I could see people opting to bring just their Switch along on trips because it fulfills the basic things people use their tablets for, while also being a great gaming machine. Nintendo has already laid the groundwork for a successful run with the Switch, now they just need to make sure they continue to update it to allow it to live up to its potential.